Sydney mums-to-be will experience all the perks of a luxury hotel at Westmead Private Hospital’s new and improved maternity unit. The $25-million development opened earlier this month and includes 31 private maternity rooms, as well as 11 new surgical rooms and one extra birth suite. The private rooms can also accommodate a support person. Westmead Private Hospital CEO, Mike Flatley, said patients and hospital staff were delighted with the new facilities. “We arrived at the new maternity design by listening to our mothers about what really matters to them,” he said. The new development features eight spacious parenting suites, each fitted out with a queen size bed, seating area for guests, wide screen TV and private ensuite. Mothers will also be treated to a gourmet hamper, bathrobe and daily newspaper. A 14-cot Special Care Nursery is equipped with the latest technology for babies who need extra care, and offers greater privacy and comfort for parents. Mr Flatley said it provided the highest possible standard of care for a NSW private hospital and, should babies require additional support, was located next to Westmead Public, one of Australia’s “finest tertiary neonatal care facilities”. “Our aim is to provide families with a really enjoyable hotel-style experience, while simultaneously ensuring they receive the highest quality care and attention from our medical and clinical teams,” Mr Flatley said. Parents can access free infant massage workshops and post-natal exercise classes for mothers and babies. There is also an extensive post-natal education program including preparation for home, bathing, settling and feeding. The new development allows for plenty of natural light, and offers a rooftop garden so families and loved ones have the option to spend time together in the fresh air. 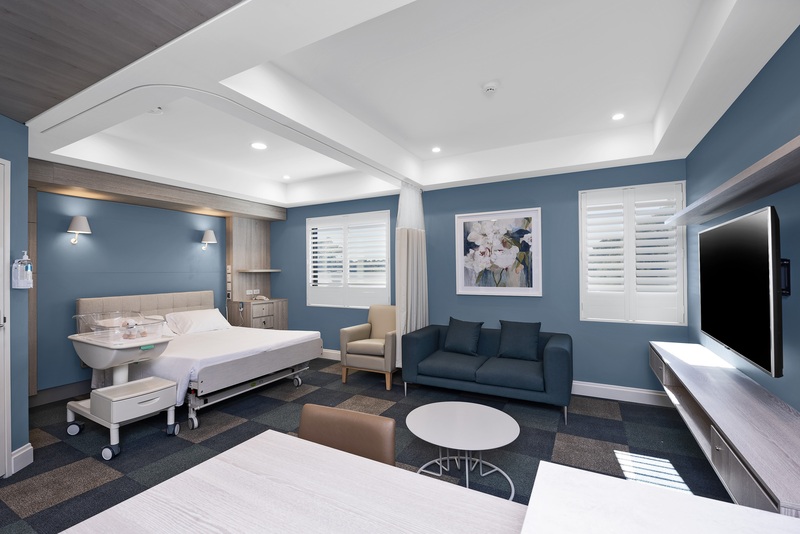 “Our next project currently underway at Westmead Private Hospital is transforming our two-bed patient rooms into highly-desired single rooms, which will result in 100 per cent private rooms throughout our entire facility,” Mr Flatley said.